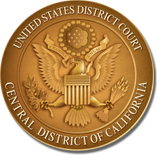 In anticipation of amendments to Federal Rule of Civil Procedure 5(b)(2)(E) scheduled to take effect December 1, 2018, the United States District Court for the Central District of California has amended its Local Rules to eliminate the ability of attorneys to opt out of the electronic service of documents through the Court’s Case Management and Electronic Filing (“CM/ECF”) System. As of December 1, 2018, consent to service of documents through the Court’s CM/ECF System will no longer be required, and registered CM/ECF users who previously opted out of electronic service will no longer receive paper copies of court documents served by the CM/ECF System. REGISTERED CM/ECF USERS ARE REQUIRED TO ENSURE THAT THEIR CONTACT INFORMATION IN CM/ECF, INCLUDING AN EMAIL ADDRESS, IS KEPT CURRENT. See L.R. 5-4.8.1. Whether you previously opted out of electronic service or not, please take a moment to ensure that your email address is correct in CM/ECF. For detailed instructions on how to update your contact information in CM/ECF, see the Court’s website at http://www.cacd.uscourts.gov/e-filing/maintaining-current-contact-information. THE CM/ECF LOGIN AND PASSWORD OF ANY REGISTERED CM/ECF USER WHO DOES NOT HAVE A CURRENT EMAIL ADDRESS IN CM/ECF AFTER DECEMBER 1, 2018 MAY BE DEACTIVATED.